Right now in Castellammare del Golfo, we’re celebrating Santa Rita, the patron saint of abused wives and heart broken women. 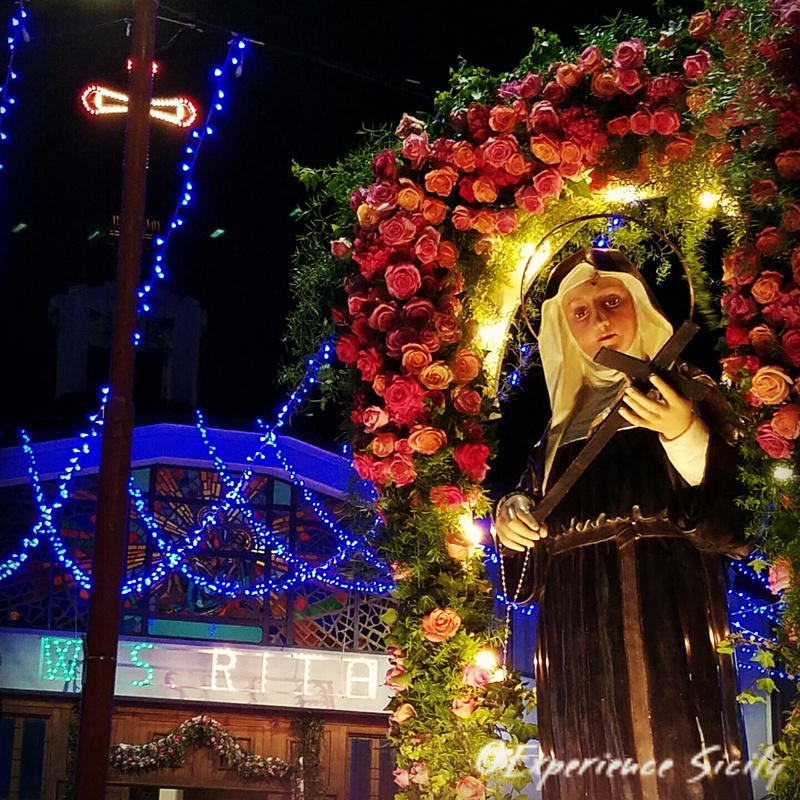 Yesterday was her feast day, but tonight in Castellammare del Golfo they processed this beautiful statue. Santa Rita lived a model life in Puglia from 1381-1457.